The sale of English Literature, History, Children's Books & Illustrations at Sotheby's in London on 14 July included books from the library of the late Gary Prouk (1944-2013). 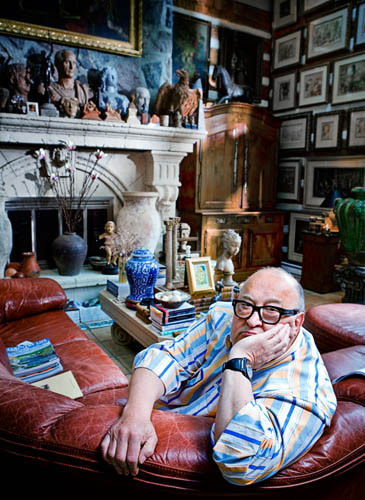 Prouk was a Canadian advertising man from Toronto who ended his career as creative director at Sebastian Consultancy, which he and his wife Susan Andrews had founded in 1998. There are several memorial pieces about him online. Prouk's office was filled with art, but he was a book collector as well. That may be true, however, some lots remained unsold on the day of the auction, and among these unsold books were a number of lots with Vale Press books. The descriptions of these were not detailed enough to see why, but probably Prouk did not only buy pristine copies. Most of the VP books were not in perfect condition, and, moreover, they were ordinary copies. There were no vellum copies, dedication copies, or copies in special bindings, and his set of the Vale Press Shakespeare was far from complete: Prouk owned only eight volumes. The market for ordinary copies of Vale Press books is not great at the moment, and Prouk may have paid far more for individual books than a series of twelve is worth now. Lot 205, for example, contained four works that used to belong to the most wanted Vale Press books: the English and Latin editions of Apuleius's The Marriage of Cupid and Psyche (1897) and De Cupidinis et Psyches Amoribus (1901), the edition of Ecclesiastes (1902), and The Parables from The Gospels (1903). The hammer price with buyer's premium for this lot was £688, being £172 a book. Only twenty years ago, The Parables alone fetched three times that price (£525). Anyway, prices are only one side of book collecting. Let's hope that Prouk enjoyed his books whatever their value. 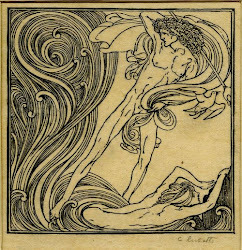 All in all, Prouk acquired two pre-Vale publications (Daphnis and Chloe, and Hero and Leander), and 53 Vale Press books in 55 volumes, of which 28 did not immediately find a buyer.